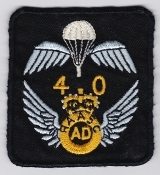 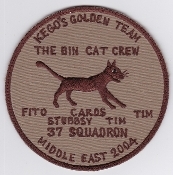 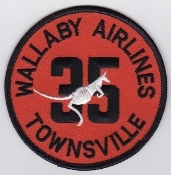 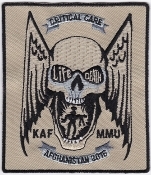 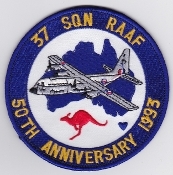 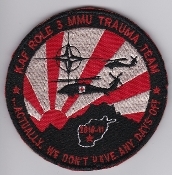 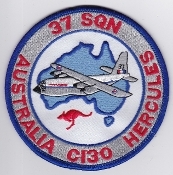 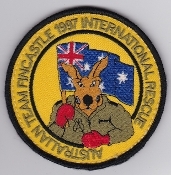 RAAF Patches Royal Australian Air Force Patches Crest Tac Ops Detachments Commemorative Badges. 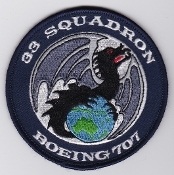 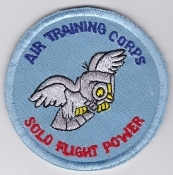 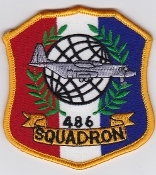 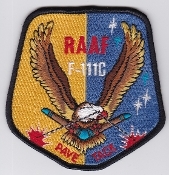 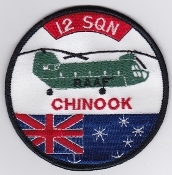 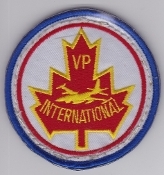 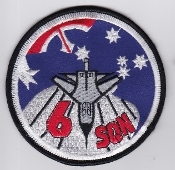 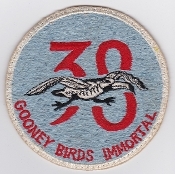 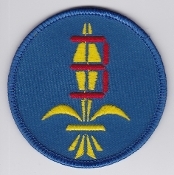 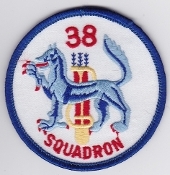 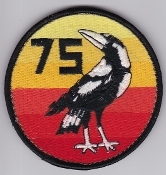 RAAF Patch 1 Squadron Royal Australian Air Force Pave Tack Kookaburra Patch 1980 F 111C RAAF Amberley Fully emb mer edge 104 by 87mm four and one sixteenth by three and three eighth inches. 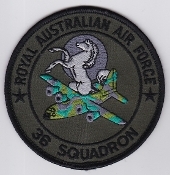 RAAF Patch 25 Squadron Royal Australian Air Force Ops Patch 1980s RAAF Amberley Embroidered on twill cut edge 87mm three and seven sixteenth inches diameter. 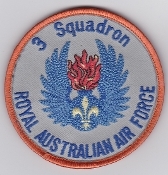 RAAF Patch 6 Squadron Royal Australian Air Force F 111C Patch 1990s F 111C RAAF Amberley Embroidered on twill merrowed edge 98mm three and seven eighth inches diameter. 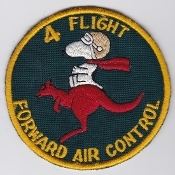 RAAF Patch 75 Squadron Royal Australian Air Force Crest Grey Brown White Magpie Late 1980s FA 18 Hornet RAAF Tindal Emb on twill mer edge velcro back 125 by 83mm five by three and one quarter inches. 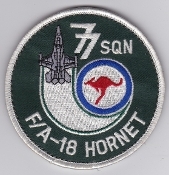 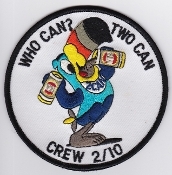 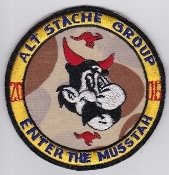 RAAF Patch 77 Squadron Royal Australian Air Force FA 18 Hornet Patch late 1980s Velcro RAAF Base Williamstown Embroidered on twill merrowed edge 91mm three and one half inches diameter. 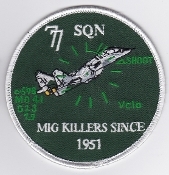 RAAF Patch 77 Squadron Royal Australian Air Force Mig Killers Since 1951 Patch 2001 FA 18 Hornet RAAF Base Williamstown Embroidered on twill merrowed edge 90mm three and one half inches diameter. 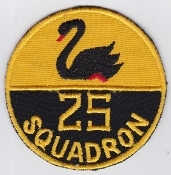 RAAF Patch Royal Australian Air Force Air Training Corps Cadets Title Slipon Early 1970s Woven merrowed edge 30mm by 88mm one and three sixteenth inches by three and one half inches. 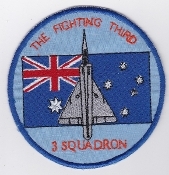 RAAF Patch Royal Australian Air Force Air Training Corps Cadets Title Pair Early 1970s Uniform removed Woven merrowed edge 28mm by 86mm one and one eighth inches by three and three eighth inches. 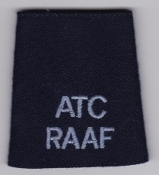 RAAF Patch Royal Australian Air Force Air Training Corps Cadets AAFC Title Slipon Pair 2001 Embroidered on twill cut edge 101mm by 62mm four inches by two and seven sixteenth inches. 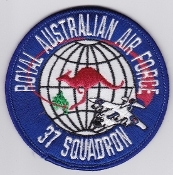 RAAF Patch 482 Squadron Royal Australian Air Force Crest Patch Queens Crown 1970s F 111 Maintenance RAAF Base Amberley Queensland Emb on wool cut edge 123mm by 84mm four and seven eighth by three and five sixteenth inches. 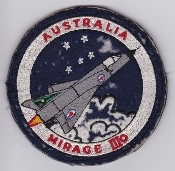 RAAF Patch 30 Squadron Royal Australian Air Force Crest 1960s Bloodhound Air Defence Missiles RAAF Base Williamtown NSW Japanese made Ace Novelty Fully emb cut edge 100mm by 72mm four by two and seven eighth inches. 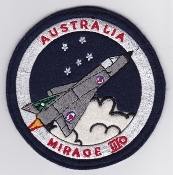 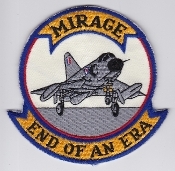 RAAF Patch 77 Squadron Royal Australian Air Force Crest Patch 1970s Mirage IIIO RAAF Base Williamstown Emb on felt cut edge velcro used 123mm by 75mm four and thirteen sixteenth by two and seven eighth inches.